There are many considerations responsible pet owners must take into account when deciding whether to give up their pet. Read this carefully to ensure your pet has the best chance at a good future. Making the wrong decision could mean your pet's life is taken prematurely. contact us at 773-687-4700 to discuss returning the animal to PAWS. The best possible option is for your pet to stay with you. There are many resources available that could help you address medical or behavioral challenges. If you are facing financial hardship, programs exist to help you while you get back on your feet. The second best alternative is to find your pet a home with a friend or family member who knows your pet well. You can continue to see your pet so that he doesn't feel abandoned, and you have confident that he is being cared for. Be very careful when handing your pet over to a stranger you have met online or through acquaintances. Make sure that you check references to ensure the person is responsible and ask that they reach back out to you in the event that they can no longer care for your pet. In fact, it is best to document those stipulations in a contract to show your seriousness. The last option is for you to turn your pet into a shelter. If you want to ensure your pet's life, you must do your due diligence! Many shelters pretend to be No Kill, but in reality they save far fewer than the bare minimum threshold of 90% to qualify as a No Kill shelter. Ask for data on all animals that came into the shelter in the prior year and ask whether the shelter would be willing to contact you if, for any reason, your animal was at risk of euthanasia. Sadly, shelters are not always transparent to the public about a pet's likelihood of survival. Many call themselves "Open Door", but they take in more animals than they can save and kill the excess. They often euthanize greater percentages of the animals they take in than the city pound in the area, which frequently have robust transfer relationships with No Kill shelters and rescue groups. If you must give your pet to a shelter, consult our Guide to Determining if a Shelter is No Kill. 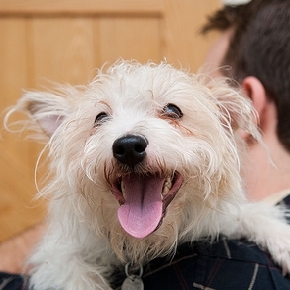 Partnering with PAWS Chicago guarantees your pet’s life. 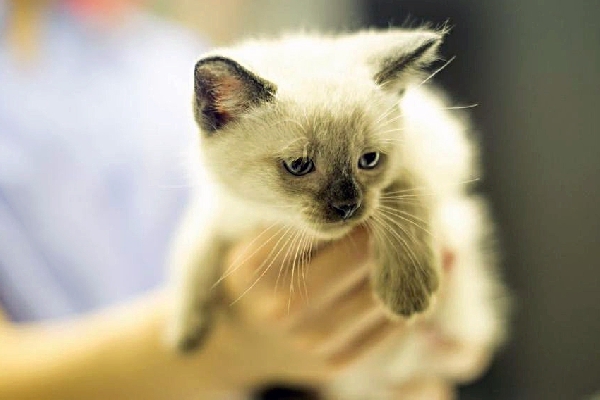 Founded with the No Kill mission at heart, we are committed to each and every pet in our care. And we are committed to our pets for their entire lives. If anything should happen where their adopters can no longer care for them, we ask that they be returned to us. Because we are committed to every pet in our care, we manage our admissions to ensure that we can provide the quality care that each pet requires. Depending on the season, we may have a wait list based on your pet's species and age. Similar to a hospital, we triage our admissions to ensure that real emergencies are considered first. Many times of year, we have no wait list; during breeding seasons, it can take several weeks to several months. To have your pet considered for the PAWS Chicago adoption program, please complete the appropriate form below. Once submitted, we will contact you about next steps, which will include a meeting with our Admissions team and your pet, looking at medical records and evaluating behavior. PAWS Chicago provides a lifetime guarantee for every cat and dog in our program. Euthanasia is only reserved for pets who are irremediably suffering, where medical treatment cannot alleviate the condition, or for dangerous dogs who possess a threat to the public, as determined by behavior experts. Our save rate is an industry leading 98%, despite taking in a very high risk population of pets from the city pound. Because of the quality care administered to all of our homeless pets, surrender fees help cover the significant cost of medically caring for, sheltering and adopting out your pet. Did you adopt your pet from PAWS Chicago? If so, please contact us at 773-687-4700 or adoptions@pawschicago.org for information on surrendering your pet. Returning a Pet You Adopted from PAWS Chicago?